Are you interested in partnering with us on future meals? Makers Meals is a community event with the goal of making the evening accessible to local makers, which depends largely on donations of either time or food from those working together to design, plan and execute each meal. That said, each meal takes on its own set of needs, so we’re flexible in the ways we look to collaborate. We can’t wait to hear from you! Interested in Being Featured in an Upcoming Meal? Makers Meals are a great way to produce content! Each meal is documented by a professional photographer, and images are provided to all partners/donors will full usage rights. We take special care to get well branded photos for each partner to ensure you have great images to use for your own promotion. We also promote individual businesses across social platforms, via posts from us and from our guests. A partner card is provided at the meal listing all partner/donors and their Instagram handles so that people can tag you in their posts from the evening. The event is also a time to come and connect with individuals. Together, we design interactive experiences that help people connect with your products/services and mission in a meaningful way. Looking To Create A Unique Experience for Your Company? 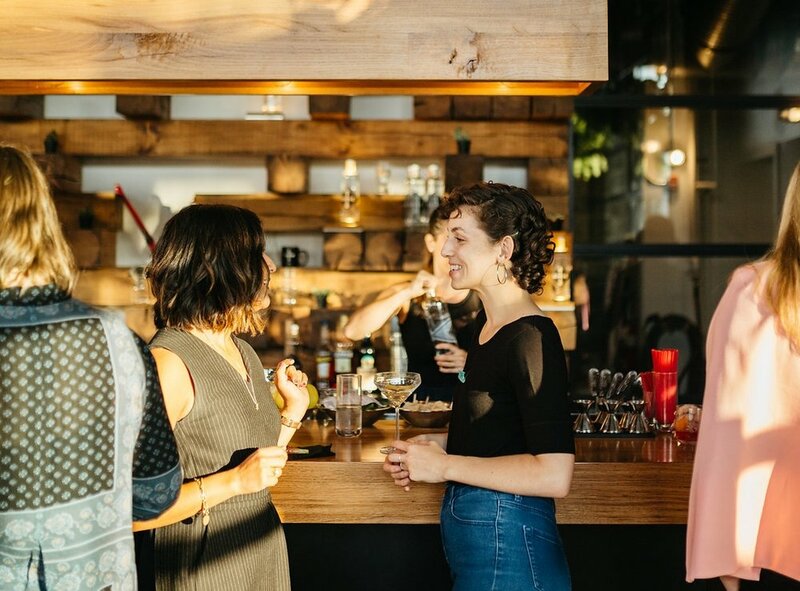 We also plan private events for a select number of companies who are looking to bring a unique experience forward for their brand or employees. These experiential meals always stay true to the Makers Meals vision, but do so in a private setting. We believe in what Makers Meals is doing, and considered it a participation in a local food/awareness building/"life is beautiful" type of event rather than a strictly business decision. We will be in touch soon, thanks for reaching out!